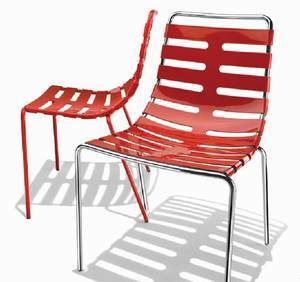 Description Stackable chair with chromed steel tube frame and plastic seat. Also availble with a transparent seat (see related products below). The legs can be lacquered to match the seat on request.